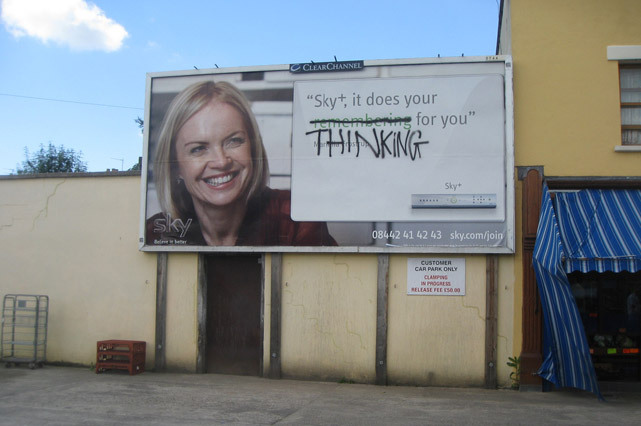 This kind of intervention certainly isn’t a first here, in fact Bristol has a rich heritage with regards to subversiveness and particularly, in this case, billboard alterations. 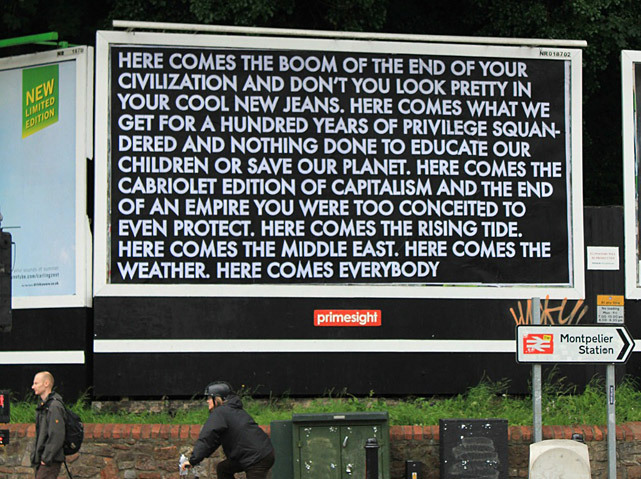 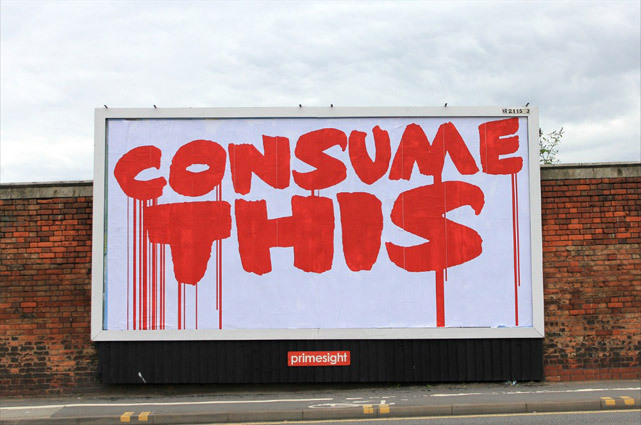 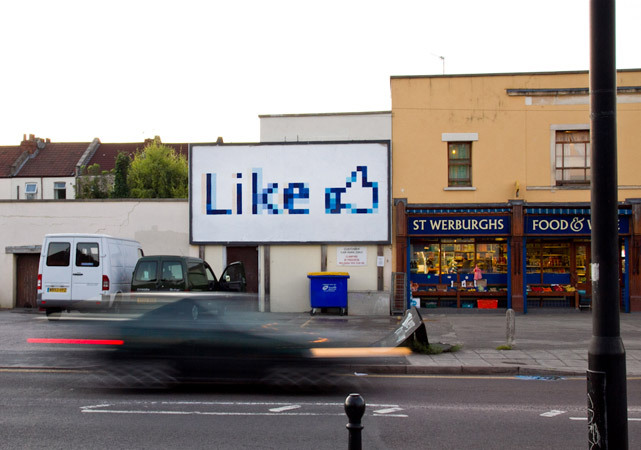 It’s not uncommon, especially in areas like St Werburghs, Montpelier, Stokes Croft and St Pauls, to find billboards with subversive messages scrawled over them. 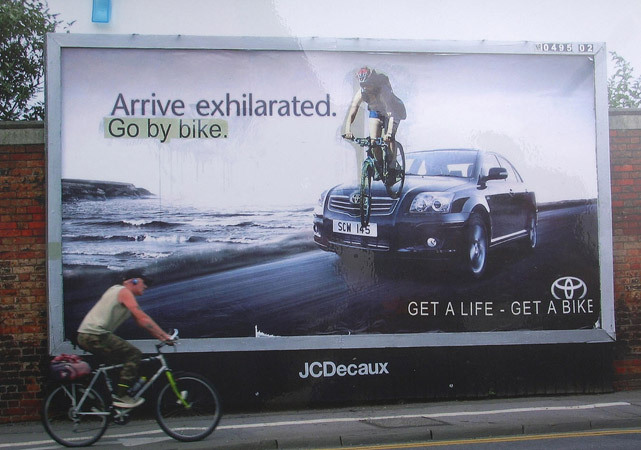 There seems to be a certain distain for this type of advertising in Bristol, perhaps more so than in other cities. 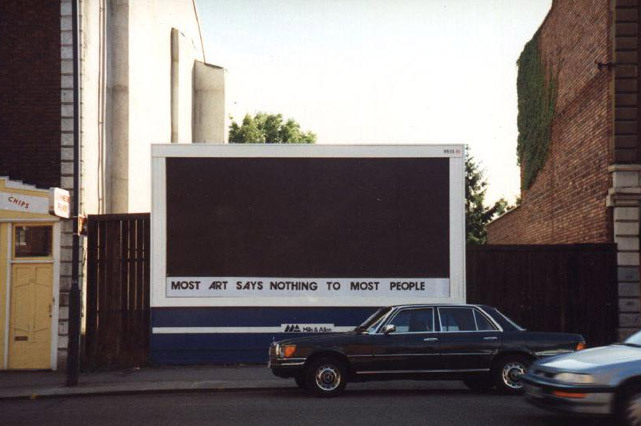 Back in the early nineties an artist called Heath Bunting, co-founder of Net.art, highjacked several billboards and replaced the original content with some of his own messages. 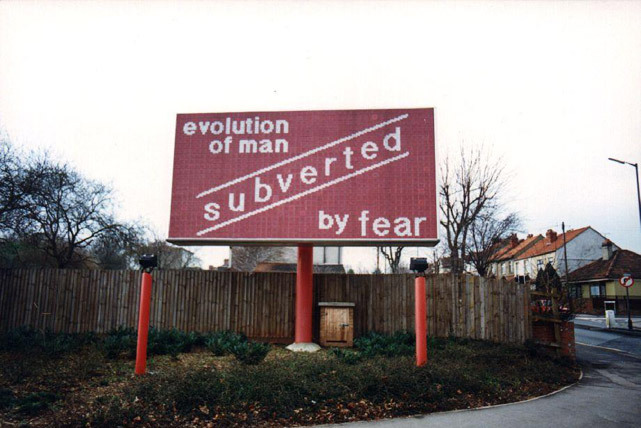 One, located near the Eastville roundabout, displayed the message “Evolution of man subverted by fear” and another, in Hotwells, read “Most art says nothing to most people”. 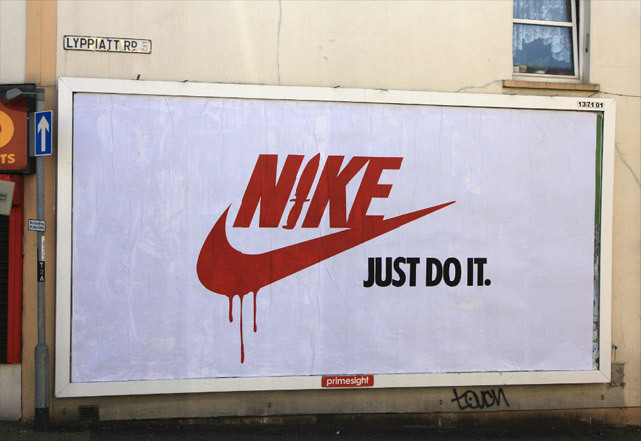 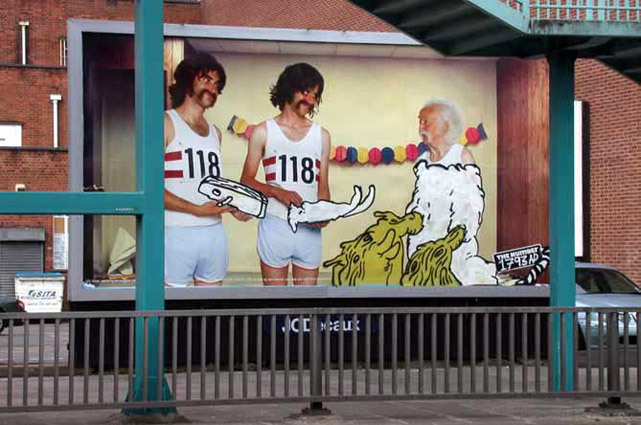 More recently, street artist Mudwig used billboards as his canvases by actually adding his own drawings to the existing advertising imagery. 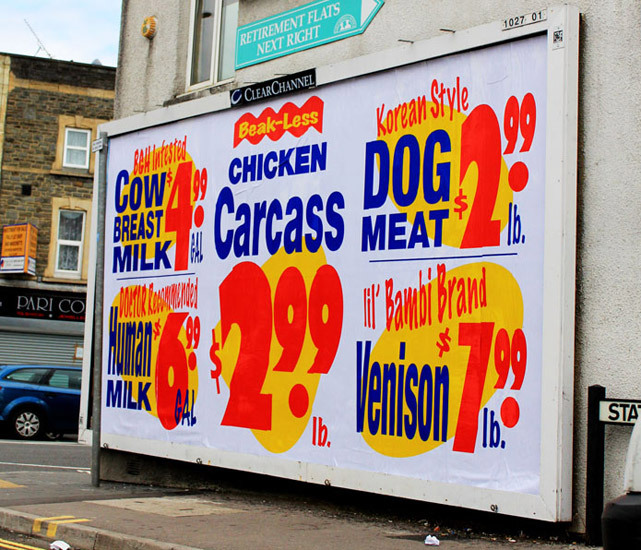 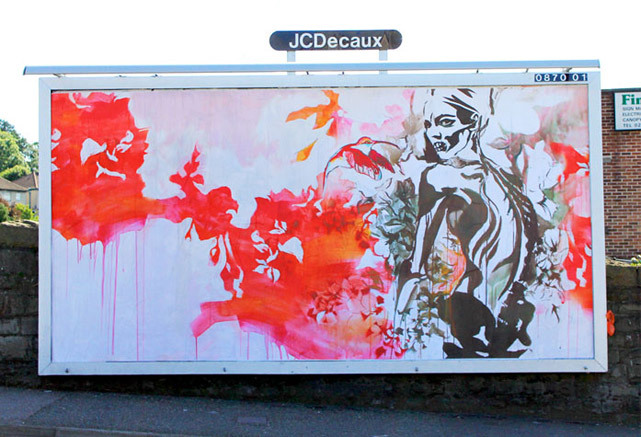 Also worth mentioning is a project called Burg Arts which reclaimed a disused billboard in St Werburghs for use as a curated outdoor exhibition space, not unlike the project in Paris called Le Mur.